We have been collaborating all month with Joy Clair and today I am wrapping it up with this card using the Original Misti and the Hugs & Smiles set by Joy Clair. 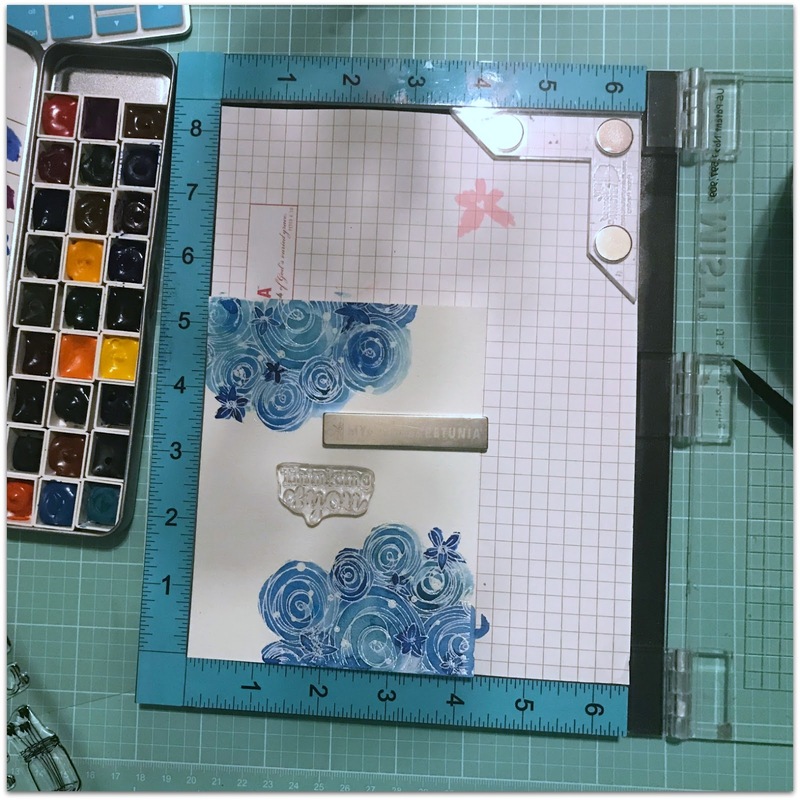 To create my card I started with a white top folding card base and a piece of watercolor paper cut down with a stitched die. I stamped this images with versa mark ink and then embossed them with white embossing powder. Next I used Daniel Smith watercourse to color the flowers. The greeting is from the Butterfly Kisses set also by Joy Clair. Thanks for stopping by all month as we collaborated with Joy Clair and Happy Easter! Very pretty with the blue flowers in the corners. Such a fabulous CAS card. Those doodle flowers are beautiful in blue. Gorgeous card! Love the colors and those pretty flowers! The Hugs & Smiles set is one of my favorites! Beautiful card! Fantastic layout and I love the crisp blue and white color combination. That’s such a gorgeous card, really pretty colors ! Its a beautiful card, Ceal! For some reason, I didn't realize before there were flowers in the swirls. I like that you highlighted them in darker colors. 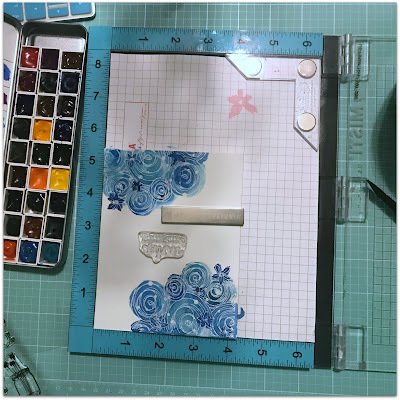 It's been fun seeing all the collaboration using the Misti and Joy Clair stamps. Thanks for being a part of it. This is absolutely beautiful Ceal. Love the swirls and flowers in the corners and its such a pretty shade of blue .Very well done. Its has been a fun collab for sure and got to learn a few things along the way, you can't beat that! I think this is just stunning! What a lovely set. Great card! Love the pretty flowers! Love the circles in the corners. Amazing watercolouring!!! These colors are amazing!!! So pretty! Love the clean design & those gorgeous flowers! The BLUES are what have made me look! LOL SO BEAUTIFUL with these swirled flowers! ;) LOVELY WORK!!! I love your usage of blue with the white embossing. So pretty! 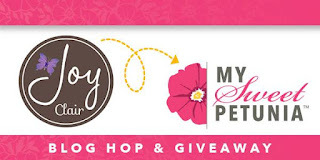 Joy Clair blog share has been such a delight! Love the fresh images that are stand alone as seen in this lovely card! 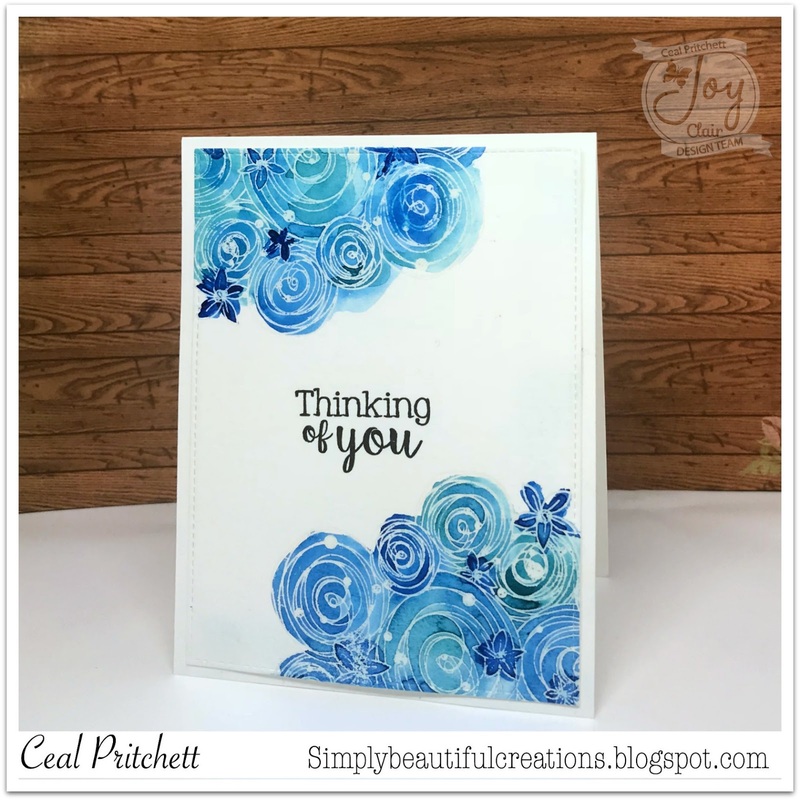 The white embossing really magnifies the image with the deep hues of blues to color it! Just fabulous! !